I can't wait until I have to clarify in a conversation: “Wait, which President Clinton?” Hillary Clinton's official announcement Sunday that she's running for president has me more excited than I'd anticipated. It's one of those things that we all assumed was happening and, in some ways, it seemed inevitable. But now that we have confirmation, I'm psyched. It wasn't always that way, though. On a cold January night in 2008, I attended my first — and only — caucus in Iowa City. As a proud Iowan, I took the caucuses and my job as a voter very seriously. In the previous weeks, I had seen every Democratic candidate (and met nearly all of them). I scoured their websites and became familiar with their positions on all issues I cared about. As someone who is often skeptical about the power of politics, the caucuses are exciting. It’s community organizing-meets-electoral politics. Iowa voters have the opportunity to have conversations with all candidates. At the end of 2011, I was living in Michigan and commented that it didn’t feel like an election was coming up; the next week I drove into Iowa City to see Michelle Bachman’s bus. That’s what a presidential election is like in Iowa: easy access to all candidates. Candidates really have to make a connection with voters to win their support. I hadn’t quite decided about my second choice at the caucus, though. Obama? Clinton? Obama? Clinton? (I suppose John Edwards was another option, though he never really impressed me, despite his great hair.) I kept going back and forth. Caucuses are community events. Unlike primaries in many states, you have to be a registered Democrat or Republican in order to caucus in Iowa. Many people attend caucuses confident in their decisions not only because they support the positions of the candidates, but because of the town hall or rally or pie they shared with the candidate. Lots of hands are shaken and babies are kissed in order to win Iowa caucuses. Even in years without big elections, politicians are at big events. Rick Perry can be seen at the State Fair, Ted Cruz can be found hunting, and the Clintons at the annual Harkin Steak Fry. If you don’t know how caucuses work, voters go to their precincts and groups gather to show their support of candidates. Because I was in a pretty large precinct, we were divided into rooms. If you supported Obama, you went to one room, Clinton supporters gathered into another, and Biden supporters went to one little corner of the gym. Each precinct has a certain number of delegates so they determine based on the number of people caucusing how many supporters a candidate needs to be viable. The supporters of non-viable candidates may then choose to support one of the viable candidates. Often, the supporters of the viable candidates will work to persuade others to come to their candidate. My strategy at the caucus may seem a bit odd: I caucused for Joe Biden, knowing he would likely not be a viable candidate. I was positive I wanted to support Joe Biden. I met him the day before, and was completely in awe. After the event, I spent about ten minutes talking with him and his answers to such a variety of questions (including healthcare, a conflict in Africa, and welfare) were so on point and seemed unscripted that I left the event wanting more. Both were exciting candidates, and I supported many of their positions — and also disagreed with both on a few issues. Eventually, I decided to support Hillary Clinton, thinking Obama might just be too good to be true. A candidate who promised to get us out of two wars? Close Guantánamo? Put policies in place to help the working poor? Turns out, he did win, but I was right that some of his promises were too good to be true. While I disagree with Clinton on some issues (like her often hawkish use of military force), I am much more excited about her candidacy this time around. I want a Clinton presidency not because she is the lesser of two evils (which, I fear, is often the way people vote) and not only because she is absolutely up for the job, but because little girls all over the country will look to her and think being president is an attainable goal. We need our first woman president so that we can have the second, third, and twentieth woman president. It's time. 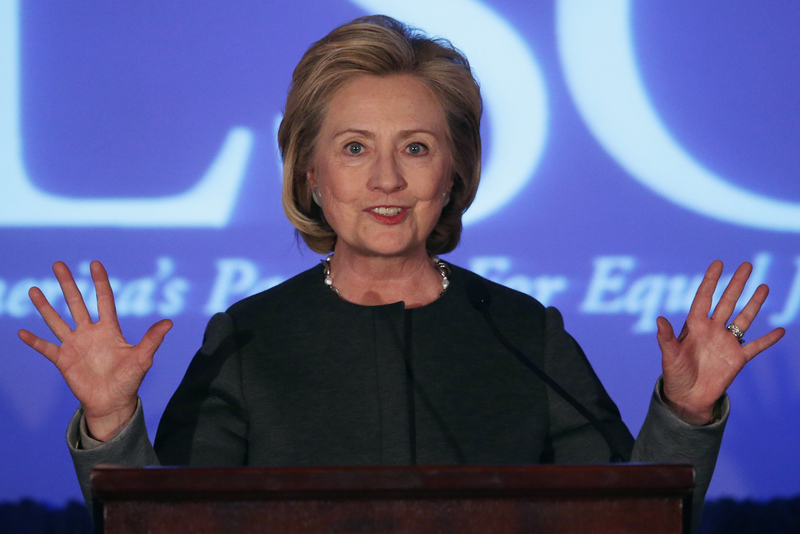 Of course, a Hillary Clinton presidency will also be challenging. She will become an archetype. Her actions will likely be taken as representative of all women, even though they aren't. But none of these are challenges she hasn’t confronted before. I am confident she truly wants to serve our country and world, not just those on top. I won’t be able to caucus for Clinton next January, because I no longer live in Iowa. By the time primaries happen in my adopted state of Maryland, more than half of states will have caucused or cast primary ballots. Barring any West Wing-like drama, the candidate will likely have already been chosen. There are few times I get homesick, but this is one of them. I want to caucus for Hillary Clinton.